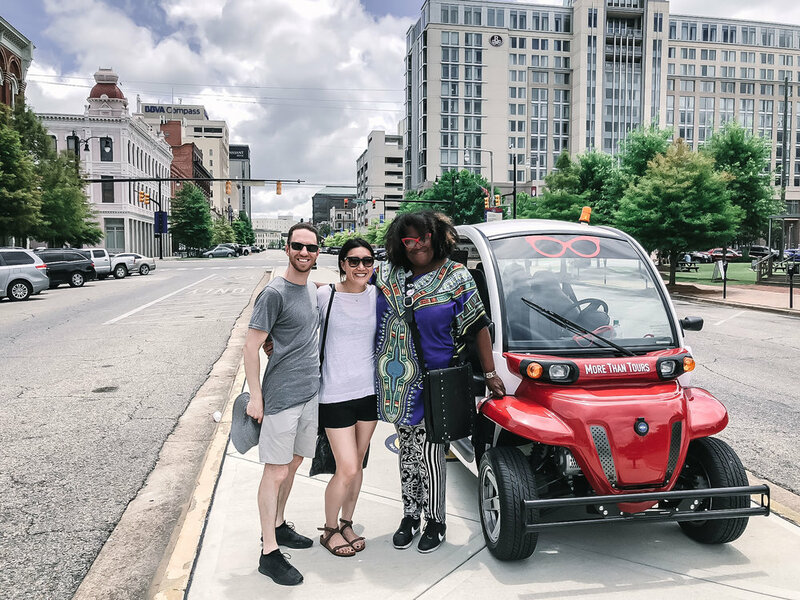 Travel Guide to Montgomery, Alabama — Nourish Co. I had admittedly idealized Southern life as sweet tea and crawfish on a screened-in porch, but I hadn’t thought about what going to the South would feel like as a person of color. I have traveled all over the world, yet I found myself worried about my safety in Alabama, a state in the country I grew up in. The Dexter Avenue Baptist Church, where Dr. Martin Luther King was a paster during the late 50's. 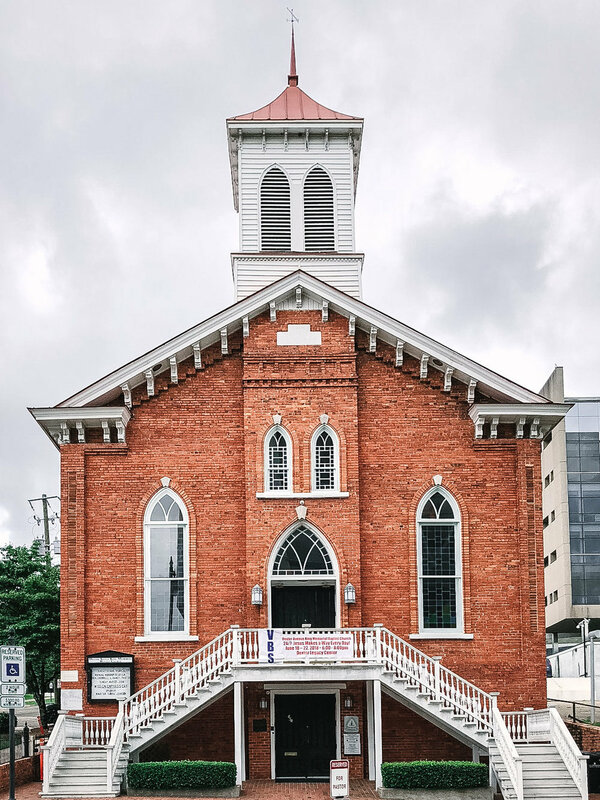 It is one of the first African American churches in the country and was a key meeting location during the Civil Rights movement. I could not have been more wrong. Southern hospitality is alive and well, and everyone we met was incredibly kind and welcoming. We even made a new friend! There were definitely a few people who weren’t as thrilled that we were from San Francisco, but that didn’t mean we couldn’t still have a polite and friendly conversation. Montgomery is one of the most important cities to US history- it was the center of the Trans Atlantic and Domestic Slave Trade, and was one of the few places that still illegally brought in slaves 40 years after the US had abolished slavery. 40 years! It was also the center of the Civil Rights movement of the '50s lead by Dr. Martin Luther King Jr., the location of the famous Rosa Parks bus boycott, and is located at the end of the Selma-Montgomery march route. Today, Montgomery, the capital of the State of Alabama, is a sleepy town. A confederate statue stands to the side of the City Hall and the Southern Poverty Law Center (headquartered there) has been built to withstand bombings by local hate groups. The downtown area is full of abandoned warehouses and many businesses (including restaurants!) were closed for the holiday weekend while we were there over Memorial Day. While all of this might not make Montgomery an appealing place to visit, there was something else we noticed: There are a lot of young people moving to Montgomery. It’s showing signs of increased tourism and gentrification- not entirely in bad ways (thanks in large part to the Equal Justice Initiative’s memorial and museum). It’s as if, finally, little green sprouts are coming up in soil that has seen so much pain and suffering over the past two centuries. It was a beautiful thing to witness; so beautiful that we are already planning to return. 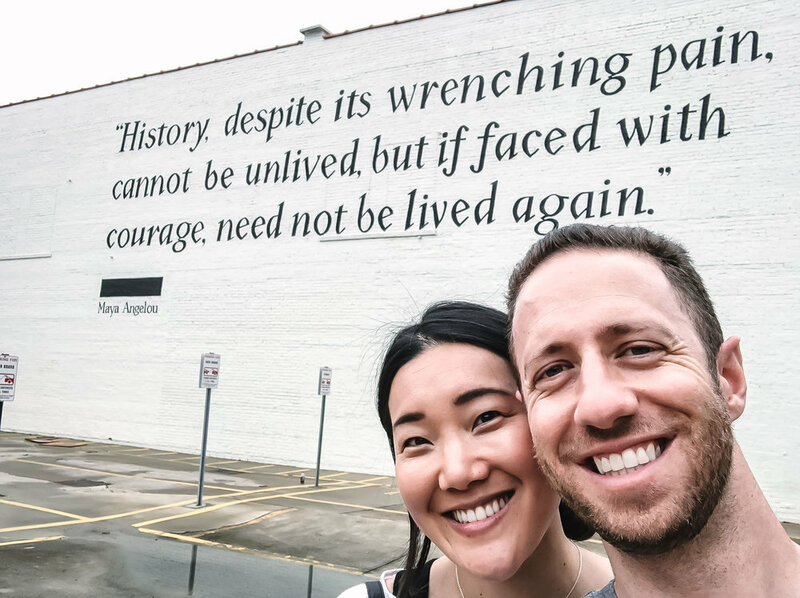 Recording our story as an interracial, Jewish and Japanese-American couple visiting Montgomery at the Kress on Dexter story booth! Here’s a list of where we stayed, ate, visited and made friends in Montgomery, Alabama. Have you visited Montgomery? If so, please share your recommendations with us in the comments. Thank you!! El Rey Burrito Lounge- open for dinner only. Surprisingly really delicious Mexican food! Renaissance Hotel- this is where we stayed- it was very centrally located! Equal Justice Initiative Legacy Museum- make sure to make an appointment ahead of time. *In the next few months, the EJI is opening a concert and lecture venue across the street from the memorial, and a cafe and bookstore downtown! I am More Than Tours- besides the museum and memorial, our tour with Michelle was the best thing we did on our trip to Montgomery. I am More Than is a social enterprise and social justice tour, and Michelle is the descendant of Civil Rights activists in Montgomery. I recommend it highly over any tours offered by the city of Montgomery.